Gorgeous ring, incredibly well made and visually aesthetic. Be sure to follow measurement instructions provided by the seller. I was measured by two separate jewelers before ordering. It was well worth the effort. The ring fits perfectly. The quality amazes me when compared to the cost. The ring far outclasses many 600 USD rings I first viewed at large retail stores. 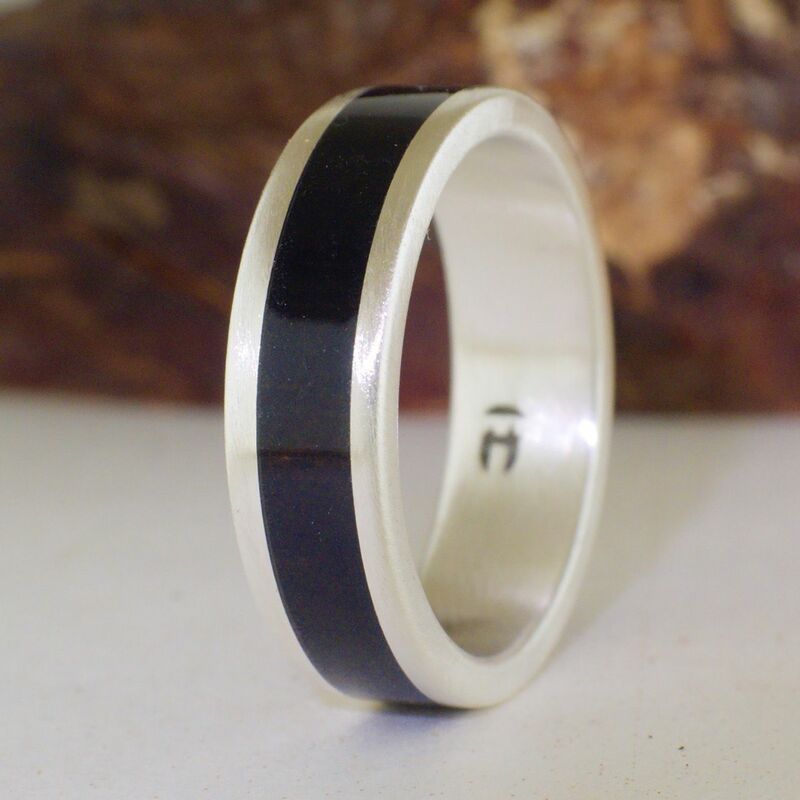 Finding an ebony ring of this quality was only possible through Etsy and Alfred's shop. Shipping was on time. I look forward to wearing this ring for many years, even until the end of my life if possible. If I should lose or damage my ring prior to this I would have no hesitation ordering another from Alfred! Bague magnifique, exactement comme sur la photo. La taille est bonne, la gravure superbe et envoi soigné . Merci ???? Ce sera l’alliance de mon futur mari en juin .